Ryan has dedicated the past 15+ years of his career to leading the transformation of health care via people, process, and technology. He discovered his calling when his daughter was born with medical conditions requiring treatment amongst multiple medical institutions. Faced with navigating the complex web of health care organizations, Ryan set out to bridge the gap on continuity of care and data interoperability. As director of IT at Vail Health, Ryan oversees clinical applications, informatics, infrastructure, help desk, and integration. 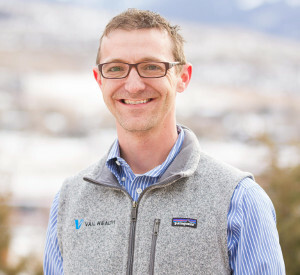 Ryan weaves layers of interoperability to create a backbone of data sharing within the broader Vail ecosystem of local and regional clinics and other health care providers. Prior to Vail, Ryan built a successful consulting career where he created ground-breaking ALS and neurology data collection platforms for academics. He helped develop the informatics and technical architectures for numerous leading health care organizations such as Athens Regional Health System, Catholic Health Initiatives, and Morgan Hunter Health Care. During his time at Cerner, Ryan led over 50 IT implementations.